Welcome back to Money Monday! Just when you thought that Thanksgiving Break was too short, we're already into December and three weeks away from another! Please be aware that the Winter Quarter bill is due next Monday! Following that, late fees may be assessed. If there is an issue with your financial aid, like verification or something isn't quite showing up right, make sure to give us a call sooner rather than later! Our first financial literacy event of the year is tonight! 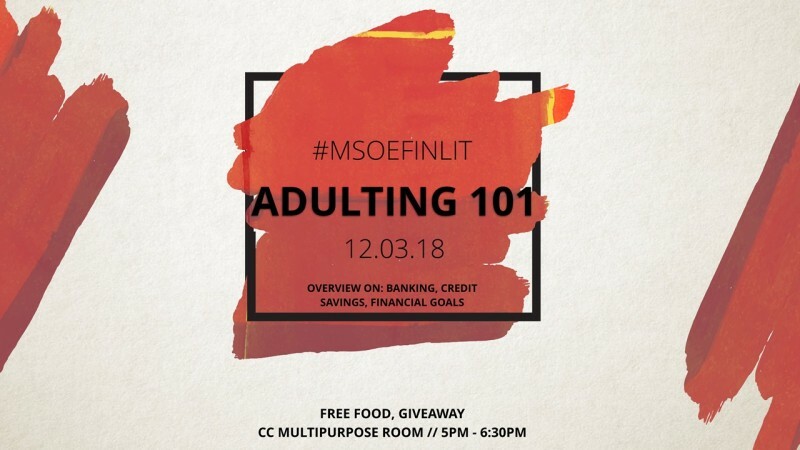 Make sure you check out "Adulting 101" for a brief primer on items like savings accounts, financial goals, budgets and more! Snacks will be provided, as well as a drawing for a $25 Amazon gift card. We are currently preparing for our next wave of MSOE Scholarships. If you haven't heard on an opportunity you applied for, don't worry--we're still in the process of awarding them. The next bunch will be 2019-20 scholarships that next year's freshmen can apply for, as well. Keep checking back for more awesome opportunities!